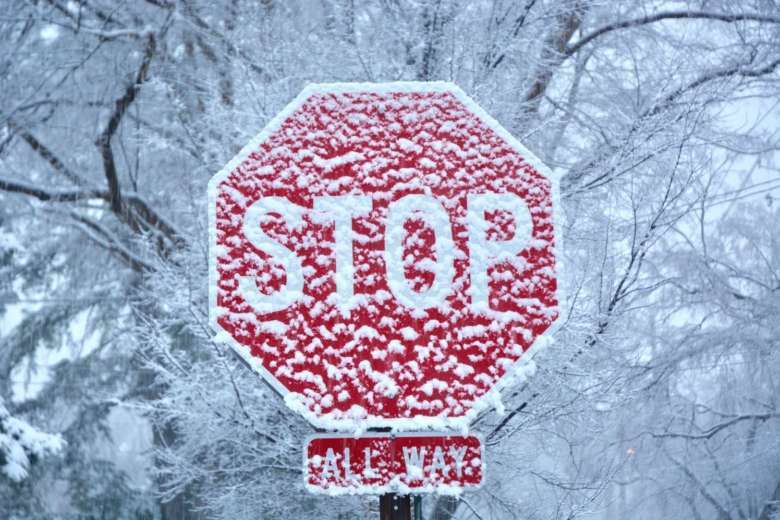 WASHINGTON — Snow chances this weekend for most of the WTOP listening area are slipping away — but we’re not completely in the clear yet. The storm has been trending more to the south, diminishing snow lovers’ dreams of a white weekend. But with two days still to go, there is a slight chance models could flip-flop. 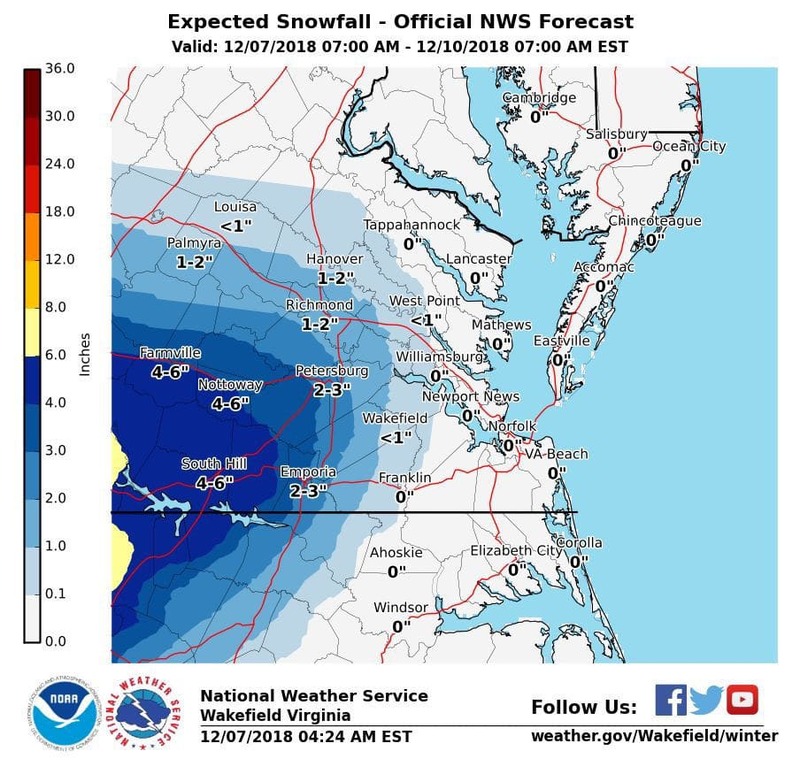 Over the past 24 hours, models have mostly agreed to keep this system south of the WTOP listening area, bringing better chances of snow to areas south of Interstate 66. 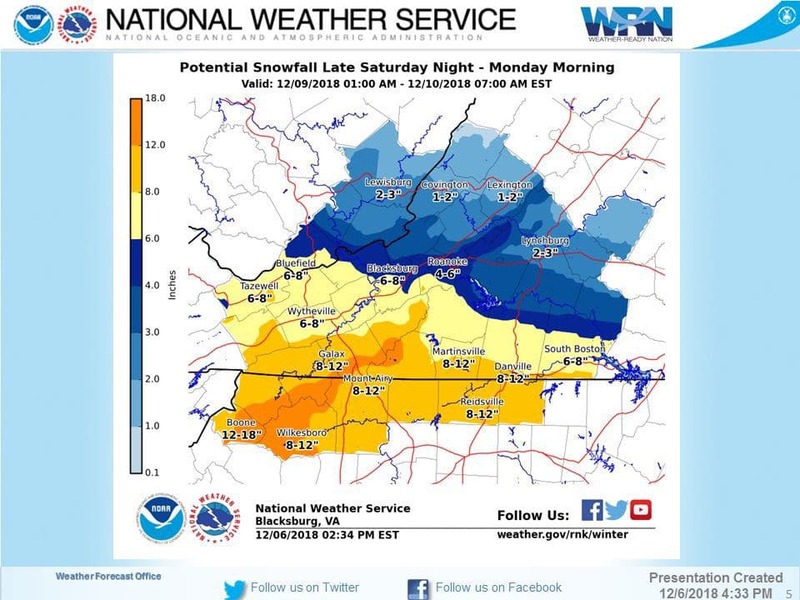 If your travels this weekend take you south of Interstate 64 in Virginia and into North Carolina, you may want to reconsider. This could be a historic storm for portions of Western North Carolina. An area of low pressure will continue to develop in the Gulf of Mexico today, moving to the north and east and off the coast of the Carolinas coast line, intensifying slightly before it pushes even farther to the north and east. While this is happening, an area of high pressure will move out of the Ohio Valley and into the Mid-Atlantic, blocking the low-pressure system from making it into our area and forcing it and most of its moisture to stay south. Again, with most of the dynamics south of our area, a good amount of snow could set up for areas south of I-64 in Virginia and into portions of North and South Carolina. The models show our region staying dry for now. However, given the instability in model guidance over the past week, we are maintaining a small chance this system could slip back to the north, increasing our chances for at least some snow over the weekend. The biggest area of concern will still lie south of D.C., mainly from I-66/Route 50 and points south. This would including portions of Southern Maryland, Fredericksburg and portions of Stafford and Spotslyvania Counties and well as the Cupeper area. We will continue to watch it into your Saturday morning but the light is dimming on snow chances in our area — at least for this weekend.